The expansive ZenFone 4 series is nearing its launch and a new model equipped with the Snapdragon 660 has now appeared with the model name Z01KD. The ZenFone 4 series was all but confirmed early last month following the discovering of the larger ZenFone 4 Max a month earlier. In all, a total of six variants of the upcoming ZenFone 4 are expected to be coming with potential for even more in the future. 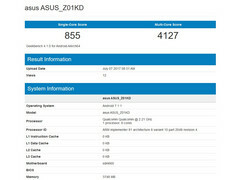 A brand new entry in the Geekbench database has shed some small details on an upcoming mainstream SKU of the next generation ZenFone. 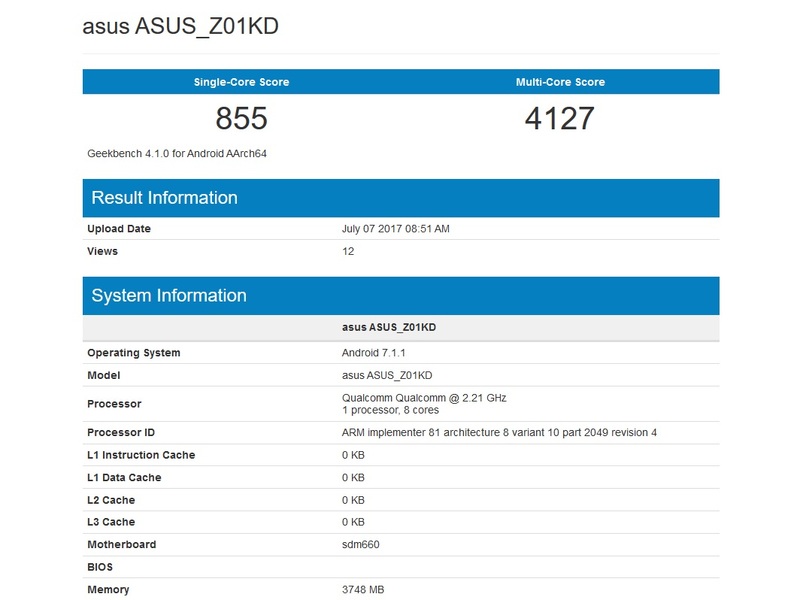 According to the source, the Asus_Z01KD will be sporting an octa-core 2.1 GHz Snapdragon 660 SoC with 4 GB of RAM and Android Nougat 7.1.1. This same processor will also be featured in the new Moto X4 and Sharp A1 smartphones. Of particular note, however, is that the single-core and multi-core scores for the Asus smartphone are noticeably lower at 855 points and 4127 points, respectively, compared to 1656 and 5244 points for the Sharp A1. The discrepancies suggest that we should still take these data points and specifications with a grain of salt as none have been officially confirmed. Nonetheless, it's common for devices to leak through publicly accessible benchmark databases weeks to months ahead of an official announcement. The ZenFone 4 series will launch by the end of July. Asus has promised higher efficiency gains over the ZenFone 3 series for potentially longer battery life. The current ZenFone 3 series encompasses budget offerings for as low as 220 Euros to high-end flagships like the ZenFone 3 Deluxe for 800 Euros.